Creativity is such a vast theme to talk about and can leave some feeling overwhelmed. However, there are those who understand creativity and what it means to be creative. It is these people, when engaged in a conversation, that are able to remove the complexities from talks on creativity and simplify what it truly means to be creative. 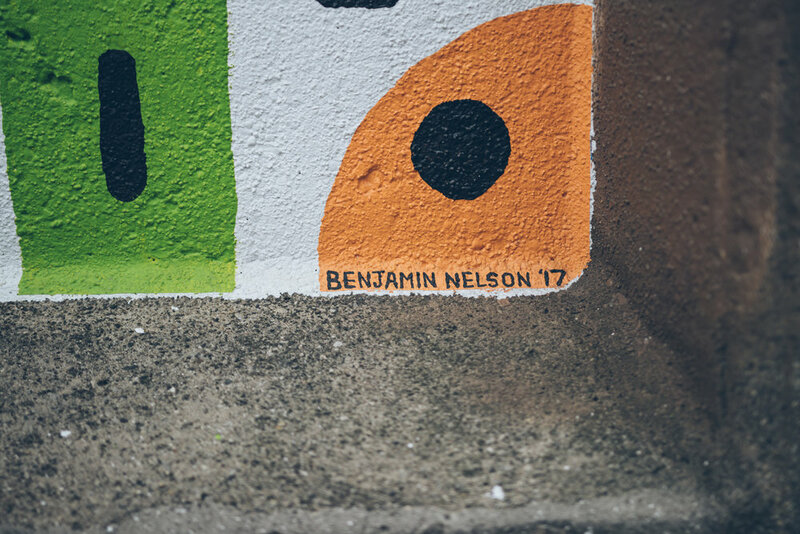 I was fortunate enough to have a talk about creativity with Benjamin Nelson and hear all the insight he had on what it means to be an artist and creator. His casual yet confident nature added to his thoughts on creativity. Benjamin is a man of faith and deep conviction. He shares on how his faith fuels his creativity and how he creates a space for other artist to express their faith, through their art. Mural in Oak Park IL, painted by Benjamin Nelson. Alright friends, lets live today a story we'd want to tell tomorrow.